1. Help Your Child Deal with Transitions. Is your child making the transition from preschool to kindergarten, from elementary to middle school, or from middle school to high school? Plan to take your child to visit the new school or classroom before the first day of school. 2. 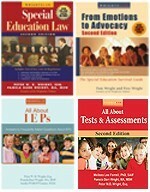 Reread your child’s IEP. Do you understand what the school agreed to provide? Do your child’s teachers understand what they are to provide? 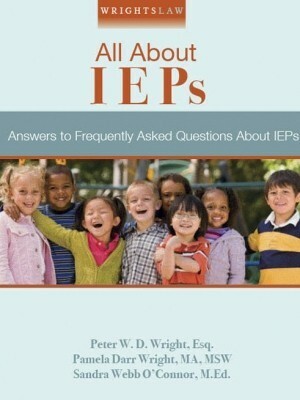 Is your child’s IEP SMART? (specific, measurable, action words, realistic, and time-specific)? 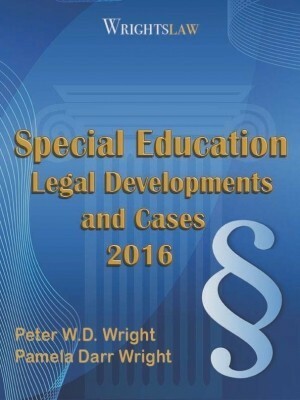 (Review Chapter 12 about SMART IEPs from Wrightslaw: From Emotions to Advocacy). 3. Meet with your child’s teacher(s) to discuss your child’s special needs. Take a picture of your child to the meeting. Teachers are more likely to take a personal interest in your child and remember your child’s special needs if s/he has seen a picture of your child. 4. Take extra copies of your child’s IEP to the meeting with the teacher(s). Never assume that teachers have had time to read your child’s IEP before school begins. Teachers have many things to do as they prepare for the first day of school. The teacher may not understand how important the IEP is to your child’s success. Leave a copy of your child’s IEP with each teacher. 5. Make a List of Important Things About Your Child. Make a list of the five most important things that the teacher(s) need to know about your child. Explain why these things are vital to your child’s success. Leave a copy of the list with each teacher. 6. Prepare to Deal with Potential Problems Early. If your child is in general education classes, prepare for the teacher(s) who wants to see how your child “gets along” before making any changes in the way they run their classrooms. Teachers often take this position because they want to give their students a fresh start. 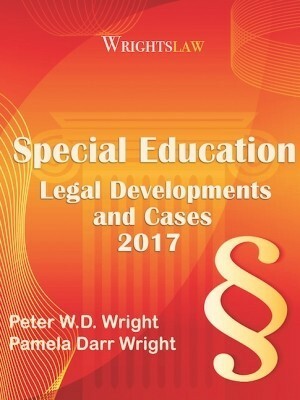 You may need to explain why your child may fail unless the teacher understands his/her unique needs and provides the necessary services, accommodations and supports. 7. Resolve Old Concerns and Issues. If you have concerns or issues that were not resolved during the last IEP meeting, request another IEP meeting immediately. Try to resolve these issues and concerns before your child begins to have problems this year. 8. Get a New Assessment. 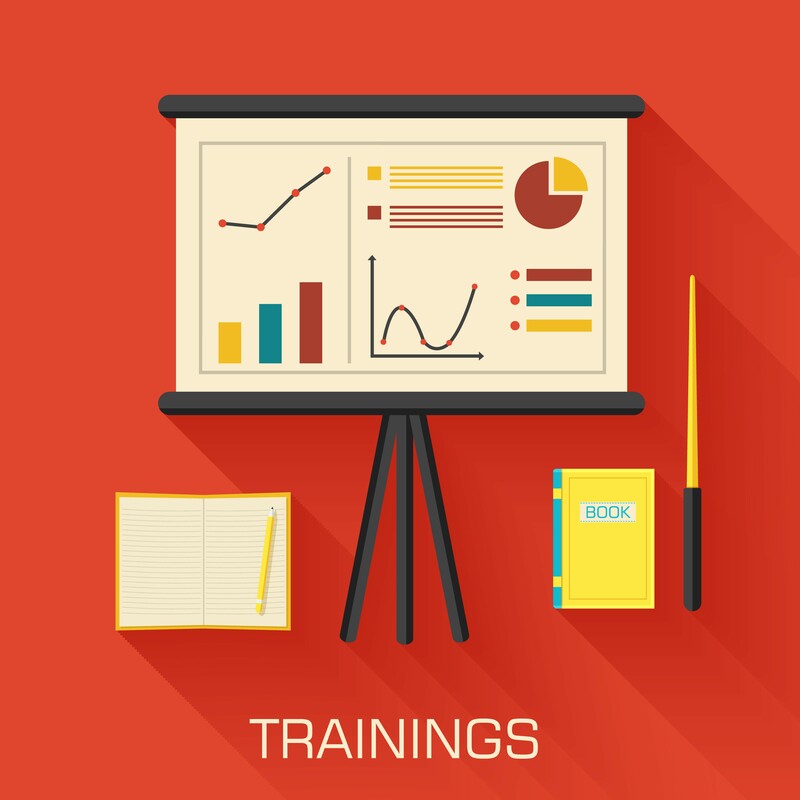 Consider getting your child’s skills tested very early in the school year. 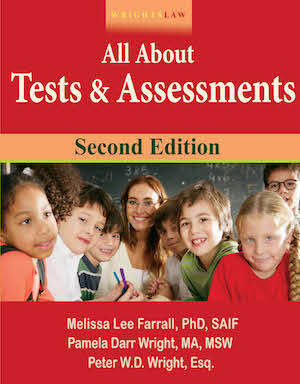 Where are your child’s skills on standardized educational achievement tests? Use these scores as baseline data. You can compare these scores with scores obtained at the end of the year to measure your child’s progress. 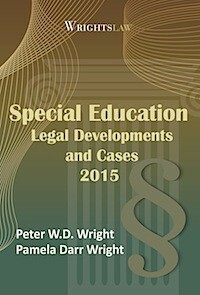 (See Chapter 8, Your Child’s Evaluations, in Wrightslaw: From Emotions to Advocacy). 9. Go to your school’s Open House. In addition to giving you another chance to meet with your child’s teachers (and make a good impression), teachers often explain their classroom rules during Open House. When you attend, you have a chance to see if your child may have trouble understanding the teachers’ rules. You will also be in a better position to explain these rules to your child. 10. Get a bound notebook. Use the notebook as a “contact log” to send messages to the teachers. Write a sentence of two to the teacher(s) every day. Do not make your child the bearer of messages about problems at school. Make an extra copy of your log often in case the notebook is lost. This entry was posted in Advocacy, Parent Rights & Responsibilities and tagged Back to School tips by Pat Howey. Bookmark the permalink. I appreciate it when you said that prior to the first day of school it is best for the parent to meet up with the teacher and discuss the special needs of the child. It might be a good idea if I tried that out since my little sister is shy and timid and has a lot of anxieties. Of course, that would not hinder her from wanting to make friends. I just want everyone to know the limitation of the encounter so as to not agitate her. This is some really good information about elementary schools years and how to make it good. I liked that you pointed out that it would be smart to go to schools open houses because teachers will talk about their classroom rules. That is a good thing to know if you want to know what is going on in your child’s school life. My niece will be at the age where she will be starting school soon. She’s exceptional and her mom wants to make sure that she’ll enjoy school. You discussed here that she can meet her child’s teacher beforehand to talk about her special needs. Moreover, it will be better if she will be enrolled in a specialized school to make sure that she’ll be taken cared of. 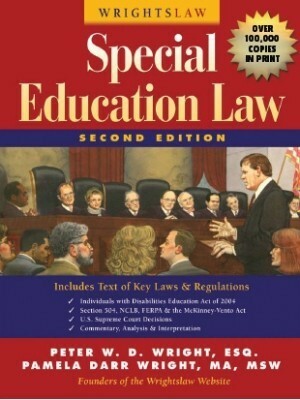 Thanks for the tip to take extra copies of my child’s IEP to the meeting with the teacher and leave a copy behind. My wife and I are thinking of having our children attend a Christian elementary school, and we would like them to start off the experience right with their teachers. Being able to discuss the needs of our children and the teacher addressing those needs is what we hope to achieve. With our boys, during every new school year, my wife and I observed that the first week is a critical time. These first few days can and will set the tone for the rest of the school year. There are many factors to take into account as those Pat Howey brings to our attention. The key and I think most important is paying close attention to your child’s emotional state. Both my wife and I are lawyers in the city, this means that our schedule is beyond the average 9-5 job. Even-though time is a challenge to manage, we make sure that our boys have one on one time with each of us. This helps us to observe, ask questions, talk about things that might be bothering them, offer advice, hug, love, and re-assure them they are important, safe. Challenges will come up. I have an unusual twist on the parent/school relationship. I represent a father who was never married to the mother of a child on an IEP. Mother and Father do not get along with one another with regard to child issues. Mother is the legal custodian. 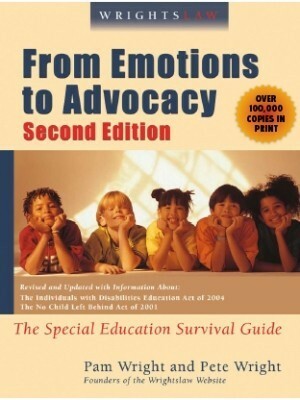 Father does not agree with the diagnosis and resulting interventions in the IEP, which state the child has autism. He has several expert opinions to the contrary (one from a Doctor at a local Chidren’s Hospital), yet the school will not allow him to participate in the IEP or be a part of the team. My argument is that Ohio law allows non-custodial parents to be notified and to participate in school-related activities for the child; and under IDEA, Dad should be made a part of the IEP team. Any ideas? This list is very informative. My kids always have the open house on the second week of school. We can meet with the teacher and they allow time to discuss any concerns. You can also donate your time in class to help the teacher and students. Great way to see your child in action. I read your ten back to school tips and I agree completely with your advice. I have a different concern that I need help with. 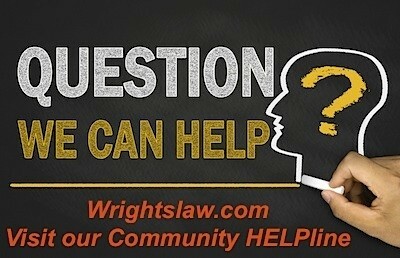 We have strongly advocated for our children in the last three years and have, unfortunately, had to file complaints with our state DOE and had to seek the advice of an attorney on multiple occasions. My question is this: how do you overcome this and rebuild any kind of positive relationship? If I go into my kid’s schools, I am glared at. No teacher will talk to me without “backup” from the administration. 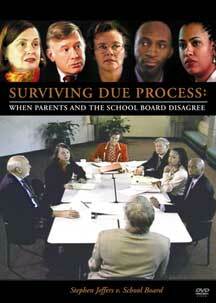 We want to work with the school staff, but they continue to leave us out of the decision making process. I don’t want to force my kids to leave their schools, their friends, their comfort zone, but I don’t know what to do at this point. Any advice?